Did you know, that the minimum hourly wage was 25 cents, when the federal minimum wage law was enacted back in 1938. This was equal to 4 dollars today’s money. 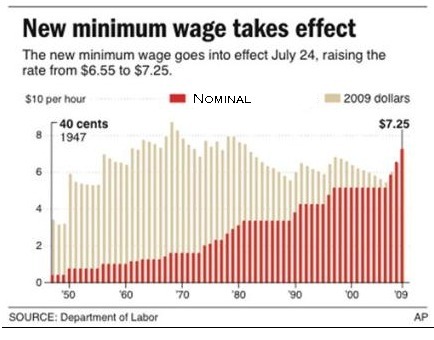 Having this in mind, the average minimum hourly earning has increased only twice in real terms and 16 times (to $8) in nominal terms. In 1980, more than 16% of the working population received minimal wage. Today this percentage is under 3%.